Welcome to the exciting island of Cuba! Our island team is here to help you plan your Cuban adventure! Meet locals, experience nature, visit artist studios, take cocktail & cooking classes, dance under the stars & more! We have curated an exceptional experience with a group of Cuban locals to let you uncover Cuba's local secrets. Join a group trip, or let us help plan your own group today. all trips directly benefits Cuban Artists on the Island. We’ve designed our trips for a boutique experience, to highlight the unique spirit of Cuba. Salsa to EDM, country tables to fine dining, Art and dance, global advancement, current and past political systems, historical movements and revolution, modern vs. traditional communication, burgeoning capitalist thought, freedom, growth, and more. In addition to learning about what it means to be Cuban, you will have time to get to know the culture through food, music, art and more. We’ve intentionally designed our Cuban visits as a seamless and immersive experience from start to finish. Just purchase your international flight + a ticket on one of our trips, and we'll take care of everything else! The Cuban soul is eclectic and electric. The culture is brimming with music, dance, art, food, politics and more. A powerful pulse and spirit pumps through its veins. The opportunity to know and understand this stunning culture is often intercepted by politics and media from the outside, thus leading to the biggest gap imaginable between perception and on-the-ground reality. For this reason, our trips are created to connect those seeking to know and understand the Cuban culture from the inside. What's key about our Cuban trips, is that it's all about having a local experience. Along the way we will be visiting secret hangouts & destinations to connect with local artists, business owners, creatives, chefs, and designers who are all excited to share their country with you. In addition to this, there will be several locals joining us for the duration of the journey - another way you can deeply connect to the country! Planning a trip to Cuba may seem intimidating at first, but we are committed to making it as easy as possible for you. NOW is the time to visit, and we can help provide an effortless and extraordinary trip for you to enjoy. A signed waiver release, Your flight information, A copy of a valid passport, A headshot, Travel Insurance, A list of allergies, and a list of any medical needs. And finally, as we prepare for this amazing opportunity, we want to emphasize the importance of respecting Cuba’s culture and people. 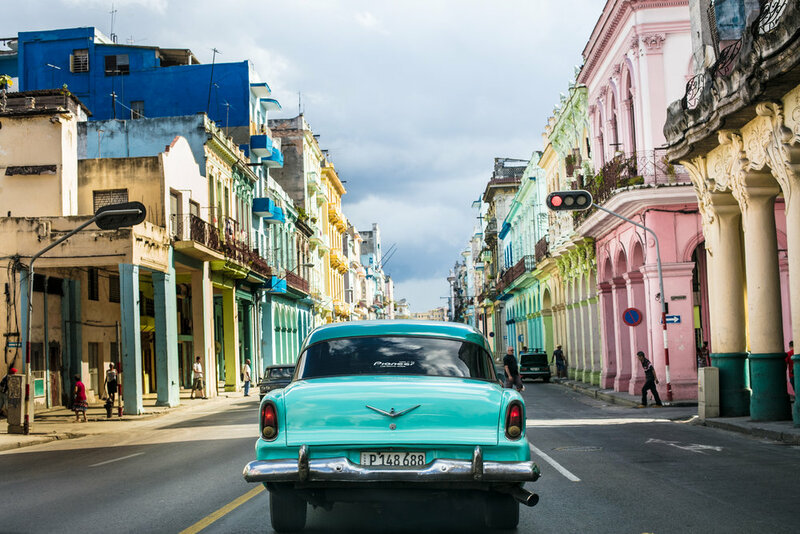 Though Cuba’s cities are filled with picture perfect streets and colorful backdrops, we should remember that Cuba is a country with a lively and spirited history and soul. We must be sure to not become an inconvenience. Part of the challenge of traveling anywhere is the interaction between cultures, and Cuba will be no exception. But if you accept these differences and not try to change them for your own benefit or comfort, you are sure to create an unforgettable journey for yourself and others on the trip!